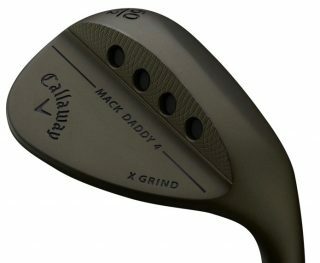 Callaway has added a new model to its Mack Daddy 4 range of wedges following the release of the Mack Daddy 4 Tactical wedge. Boasting a military green ‘raw’ PVD finish, the new club’s ground-breaking look is enhanced with a black PVD face, milled black medallions, a black limited-edition True Temper Tour shaft and a Lamkin UTX grip, with contrasting green detailing. Featuring a more compact head shape, a straighter and tighter leading edge, and slightly more offset than the standard MD4 wedges, the Tactical wedges are made from 8620 carbon steel to deliver maximum spin and control from tight lies. They feature the same groove-in-groove technology seen in the standard MD4 wedges. Milled into flat parts of the face, three raised micro-ridges, extending the length of the hitting area, with micro-grooves between the ridges, grab the ball’s cover to increase spin. A 16-groove configuration includes an extra groove near the leading edge for added control, especially on short shots. 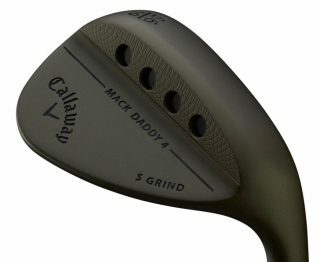 The Tactical wedge is available in two grind options. The S Grind features 10 degrees of bounce and features a medium-width sole with slight chamber at the back and moderate heel relief to keep the leading edge low through impact, promoting solid contact on open-faced shots. 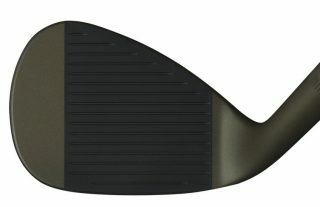 The X Grind offers a narrow, high-bounce crescent sole, with the low point near the front. Designed for moderate-to-steep attack angles and medium-to-soft course conditions, it has 12° of bounce. Available in 16 loft-bounce combinations, including six lofts – 50°, 52°, 54°, 56°, 58° and 60° – MD4 Tactical wedges are offered in RH and LH and will be available to buy from September 21, with an RRP of £149.